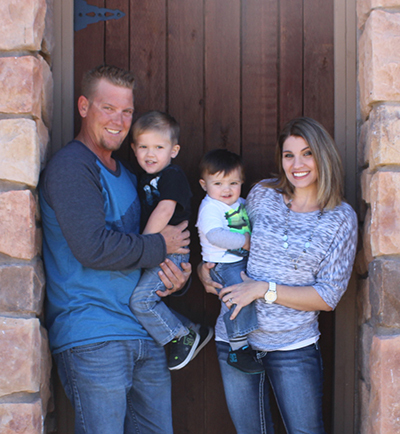 Haling from the Ozarks, Tamber Diefenbach loves Jeeps, 4-wheelers and crafts and is part of the family that operates A and E Autoglass in Maricopa. Family: An amazing husband and two awesome lil boys! Pet peeve: Dishonest people, and eating while you drive. Like most about Maricopa: The people and small town feel. I feel very much at home here! Love Copa! Like least about Maricopa: A hospital and more shopping would be nice. Joke: I woke up this morning and forgot which side the sun rises from, then it dawned on me. Anything else we should know? A and E Autoglass has been a family owned business for 17 years. The Diefenbach family has been contract with A and E for 11 years. Our goal is to provide excellent customer service and quality workmanship. Our technicians are licensed, certified and bonded. We have been in Maricopa for 4 years and counting, we love this city and the people in it! Please contact for any events to help sponsor, we look forward to always giving back, and paying it forward. Additionally, we love knowing our boys will have a forever home here in Copa and we plan to stay active in this community as they grow!